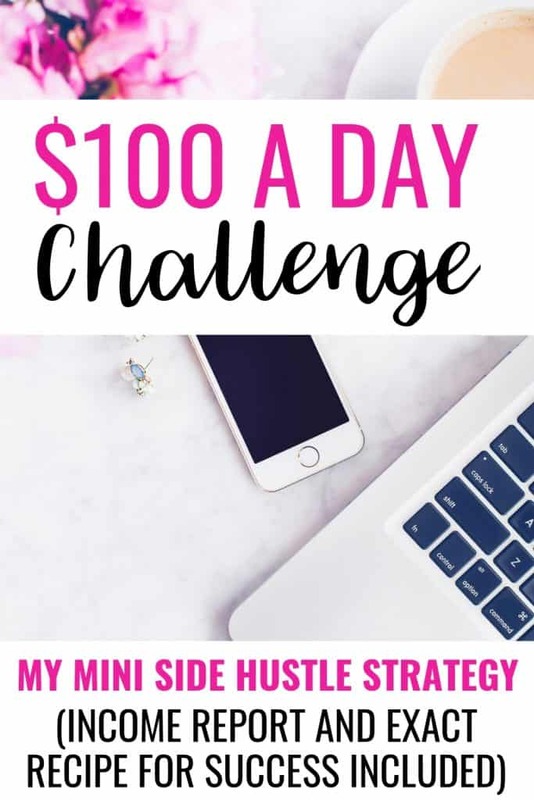 When I first started side hustling, I knew that if I could just earn $100 a day, I would reach my financial goals within a year. Sometimes those financial goals were tackling debt, other times it was just to help pay my family’s monthly bills or pay for preschool and extracurricular activities for my little ones. As a stay-at-home mom, I couldn’t get a job that required me to work specific hours. It’s just not realistic in this chapter of my life. I know many moms can relate! $100 (5-6 days per week, depending on my goals) would bring in enough money to pay down debt and help with my family’s monthly bills. So the $100 challenge was born and utilized over and over again. Seasons in life change and side hustle gigs come and go, but whenever I have a major financial goal to tackle head on, I come right back to this challenge. So I’ve deciding to do it again and share the entire process with you all in real time. Be sure to pin this for later, because this is content you won’t want to miss! I quickly realized that having a handful of “mini side hustles” was the best way to work my way up to $100 a day with my current lifestyle. These mini side hustles are things like user testing sites, teaching English online, phone and chat jobs you can choose your own hours for, survey sites (that actually pay), transcription jobs, rating jobs and more. I’ve been working from home before the cool kids were doing it (in fact, I’ve been in this world for over a decade), so I know the ins and outs of side hustling. That being said, there has never been a better time to earn money on your own schedule. It’s super easy to do, you just need a strategy and a bit of hustle. I highly recommend pinning this page for later, because I’ll be continuously adding links for all the mini side hustle opportunities right here each week. Not only will I be share mini side hustle gigs that are up for grabs, but I’ll also be sharing what I’m currently doing to find new gigs. I’ll find brand new opportunities that can fit into my family’s hectic schedule that will enable me to earn that magical $100 per day (6 days a week). I’ll be creating a monthly income report as well to keep everything as transparent as I can. How long do you think it will take me to get to $100 per day? Stay tuned! One of the top nursery trends is the modern nursery and I’m not surprised – a modern nursery’s clean lines and crisp colors look amazing in any room. 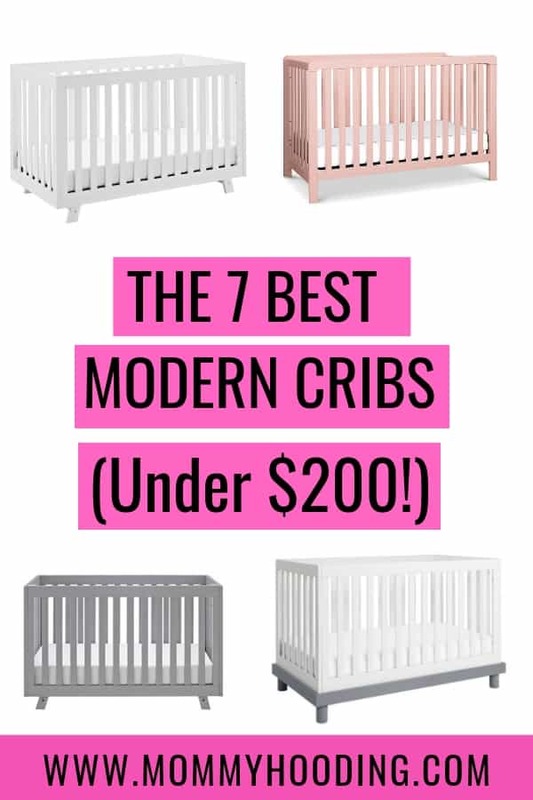 The main focus of any nursery is the baby’s crib, so I’ve put together a guide of the 7 best affordable modern cribs. The first thing you should do is sign up for Ebates, because we’ll be using their cash back program strategically. Also, if you sign up today through this link you’ll get an extra $10 to get you started (once you spend $25 online at literally any online retailer). My husband came home with a box of Hello Bello diapers, and I’m excited for Nicholas to try them. We usually use Honest diapers, but because they’re more expensive I’ve been looking forward to trying Hello Bello. 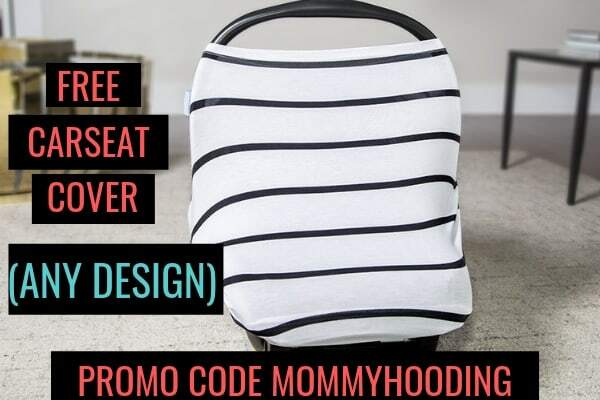 When Lucy was born I didn’t think twice about the ingredients in diapers, which is ironic because I researched everything else to death – organic crib mattresses, activity mats without flame retardants, etc. That quickly changed when my 1 week old had chemical burns from the very popular branded diaper she was wearing. I learned there are potentially harmful ingredients in diapers. We started to use diapers with safer ingredients and chose to cloth diaper part-time to offset the higher cost. Can we also talk about those rolls?! Lucy actually demanded we open up the box first so she can take a peek at Nicky’s new diapers. My first remark was how adorable the designs are – tools and lightening bolts. Even more impressive, Hello Bello diapers are incredibly soft. Any mom that uses organic diapers knows that they’re usually somewhat stiff, so this really made me happy. A wetness indicator! These have a wetness indicator, which I love because it’s super helpful. (Also, nursing moms of newborns can really rely on the wetness indicator to make sure you’re little one is having wet diapers). We moms know the true marker of a quality diaper is how absorbent it is, which leads me to the overnight test. Nicholas drinks one 8 ounce bottle before bed and then usually drinks about 4 ounces in the middle of the night. I’m happy to say that so far we have passed the overnight test with no leaks! So what’s the conclusion? How do I compare these with Honest diapers? They also carry other baby products without harmful ingredients, like baby lotion, baby shampoo, laundry detergent, diaper rash cream, and bug spray. I can’t wait to try all of these as well. 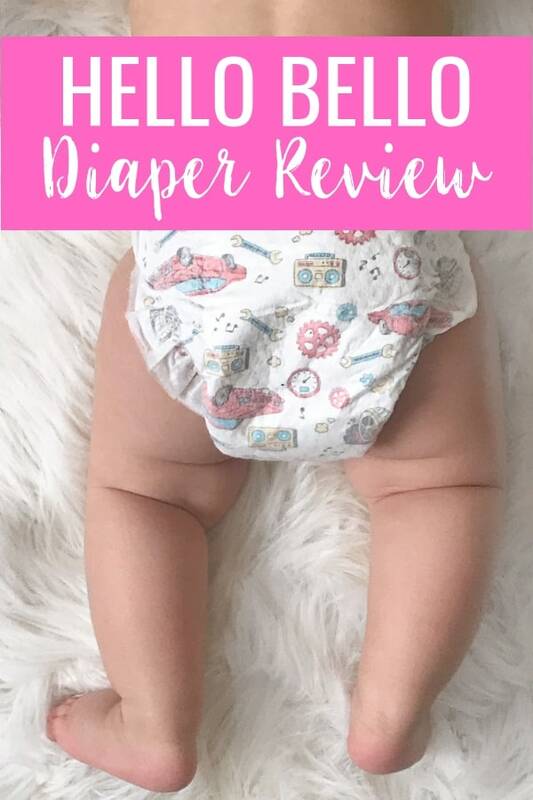 Where Can You Buy Hello Bello Diapers? You can buy Hello Bello diapers here (psst – you can also get cash back if you’re signed up with Ebates). Please note that I am not affiliated with Hello Bello. I’m just a mom who loves to try new products for my little ones. There may be affiliate links in this post. Are you looking for Easter brunch ideas? This guide will give you a ton of ideas to inspire a beautiful, fun and delicious Easter brunch. 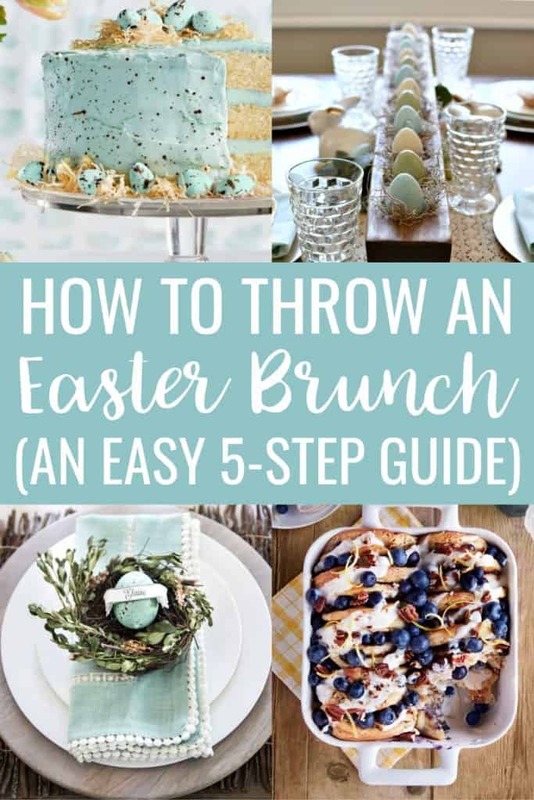 In just 5 easy steps you’ll be throwing an amazing Easter brunch! 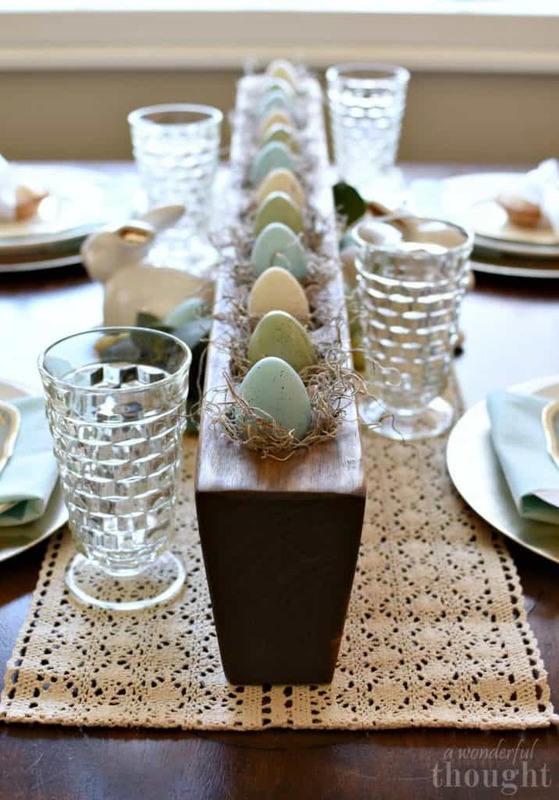 Creating a beautiful Easter tablescape can be fun. You can bring in the colors of Spring and add in elements of the holiday. Layers with colors and texture with your choice of table cloth, table runner, place settings, napkins etc. 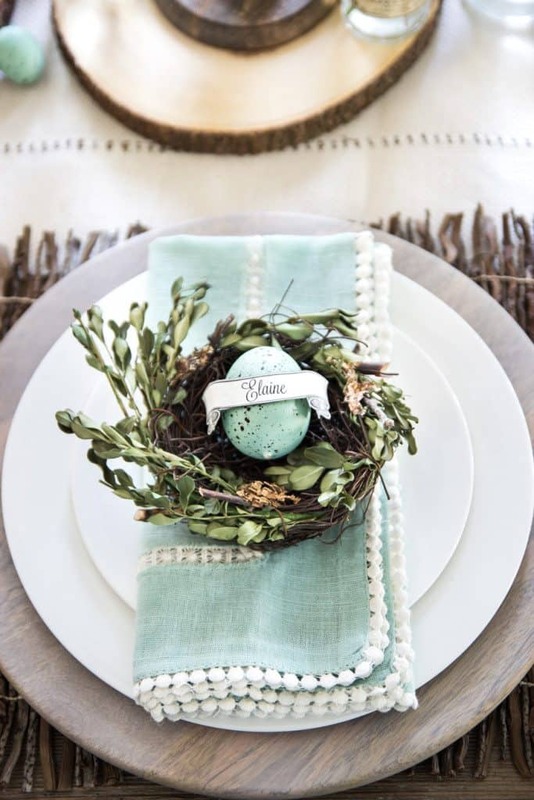 Create a beautiful place setting with interesting elements like folded napkins (I love this bunny napkin tutorial), napkin rings, or special dishes. Add embellishments like place cards. How beautiful is this place setting by Blesser House? This is such a gorgeous centerpiece by A Wonderful Thought! There are so many options for your Easter brunch menu! Add a bunch of filler foods like fruit with fruit dips, bagels and croissants, etc. Be sure to have coffee, water and juice on hand. Choose make-ahead brunch casseroles to make Easter morning preparations and breeze. Consider ‘create-your-own’ station, like a waffle or coffee bar! 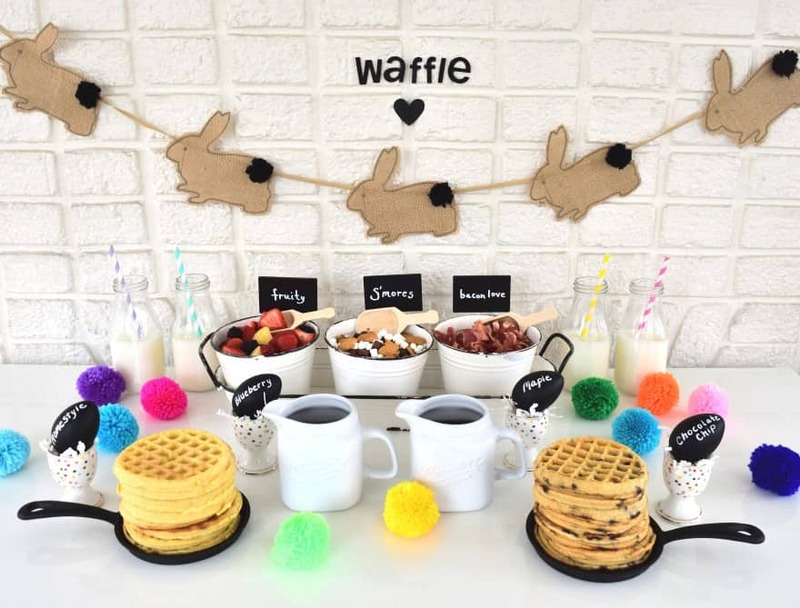 I love this idea of an Easter waffle bar by Giggle Living. A quick hack she mentions is using frozen waffles and toast them ahead of time. You can keep them warm in the oven until it’s time to eat. 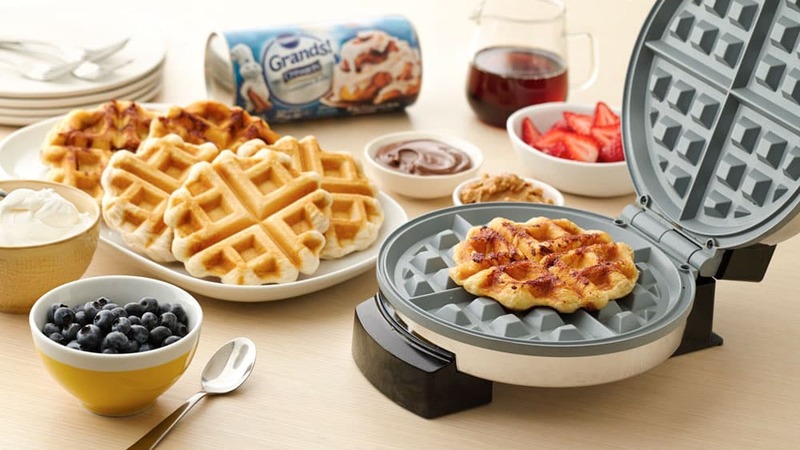 You can also have a waffle iron on the table for the ultimate create-your-own waffle experience. I found a fun hack from Pillsbury to simple use their bisquits or even cinnamon rolls (Yum!). 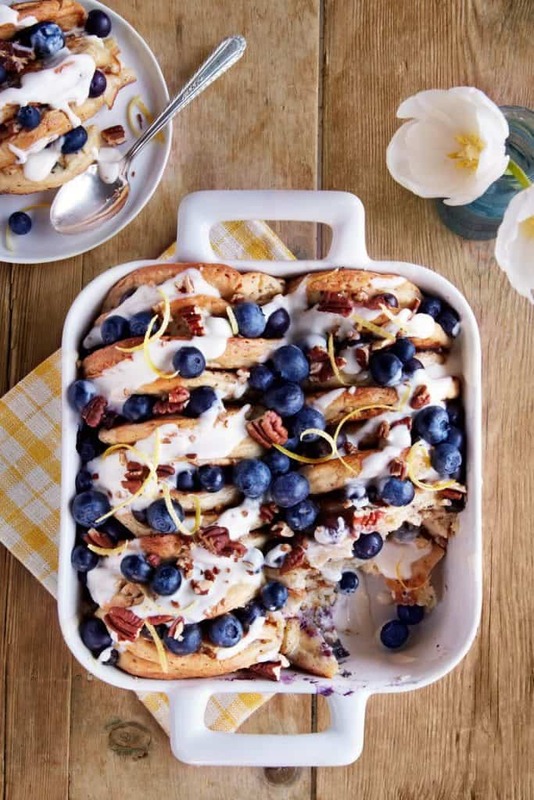 You can also feature a brunch casserole as your main entry for an Easter brunch, like this French Toast Bread Pudding by Country Living. A great brunch hack is to find dishes that you can make the night before and just pop in the oven on Easter morning. I have a whole Pinterest board devoted to Make Ahead Brunch Recipes! 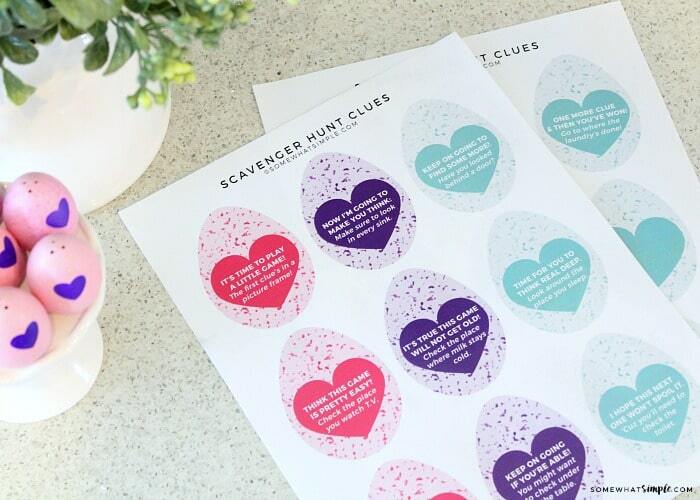 Is it even Easter without an Easter egg hunt? This fun twist by Somewhat Simple is so creative. Every holiday is a chance to create family traditions. I love family traditions and I know my kids do as well. I hope they’ll look back at them fondly and continue them with their own children. The Easter egg hunt is certainly a great family tradition! I definitely can’t have an Easter brunch guide without mentioning dessert! There are so many great Easter dessert recipes and it’s fun to make them Easter-themed! 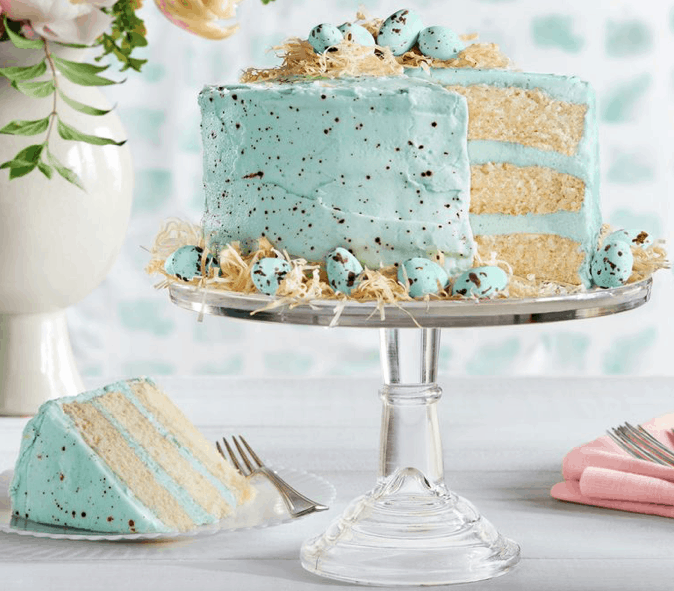 This Easter speckled cake by Country Living would be the perfect way to end an Easter brunch. You can find the blush delivery robe (pictured above) here. You can find the matching mom and baby delivery robes (pictured above) here. When I was pregnant with Lucy I remember seeing advertisements for delivery gowns and robes for the hospital. At the time, I thought the whole idea was a bit silly. Now that I just gave birth two my second little one, I now understand why it’s a nice luxury to have. I recommend buying a delivery robe for after baby arrives, however. You know what’s not comfortable? The gowns you get at the hospital. They tend to be stiff and scratchy, not to mention either way to big or too small. A good quality delivery robe (or gown) will give you extra comfort and fit you like a glove. I had a cesarian for both my kids, so I couldn’t just throw on a pair of sweats and a nursing tank after they were born. It was important for me to walk as much as possible after surgery and walking the halls in the gown the hospital provided barely covered by bottom! When Nicholas was a day old, there was a knock at my hospital room door. It was a photographer the hospital partners with that no one told me was coming. He quickly said he was talking pictures and we agreed, but we were not prepared. We paid a good amount of money for beautiful pictures of my son with me in my way too small hospital gown. All hospital pictures are beautiful regardless of what mom is wearing, but having a picked out delivery robe does make for a beautiful photo op. You can even purchase sets with a matching swaddle for baby. I had a hard time nursing with the gown the hospital provided. I think the delivery robes are smart, because it really makes it easier to nurse. It also makes mom more comfortable, which is important when trying to bond with baby. As I mentioned before, I think investing in a delivery robe for after baby arrives is a good idea. It will be a nice keepsake to save to look back on the memories of when your little one entered the world. The newborn days are both precious and exhausting. If you’re nursing, you’re doing it around the clock. 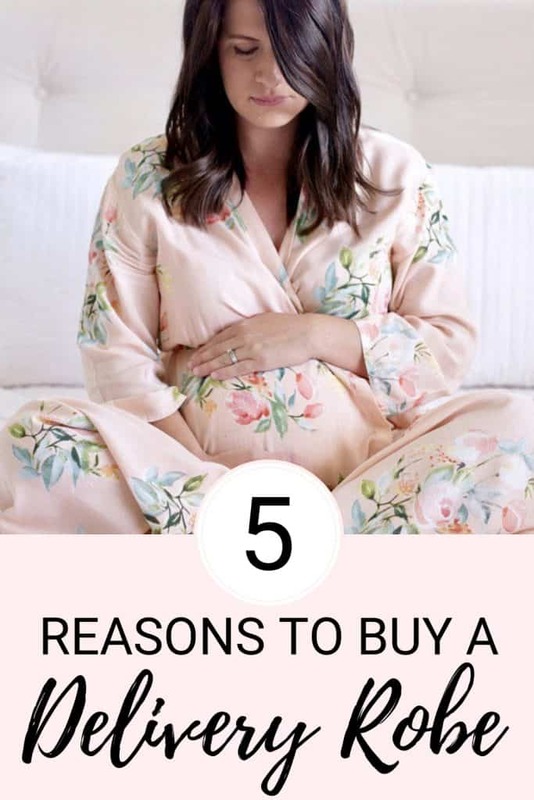 These maternity robes are perfect for nursing. Your body is also healing, so you’ll want to wear comfortable clothing. Delivery robes are perfect for lounging around the house and cozying up with baby! I’ve scoured the Internet for the best labor gowns and robes and there are quite a few great options. I’ve narrowed down my top picks. If you’re a mama on a budget (like myself) sign up for Ebates to get cash back on pretty much any online purchase. You’ll get $10 added to your account after your first purchase if you sign up using this link. If you’re looking for the delivery robe in the main photo you can find it in this Etsy shop. There are so many other adorable delivery gown and delivery robe options to look through as well. Amazon has a ton of cute maternity delivery and gown options, like this one with over 1200 raving reviews. Comfy Mommy is an adorable Easy shop. 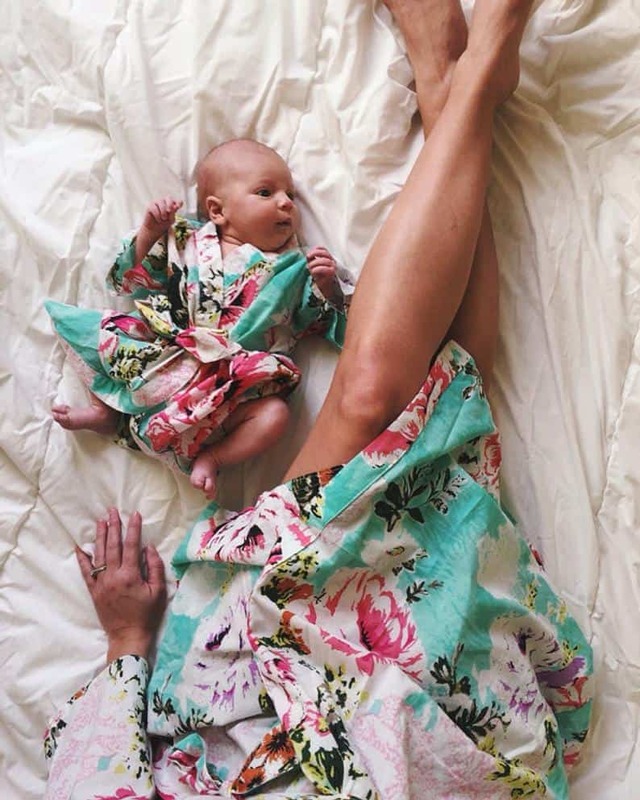 She creates the most beautiful mommy and me sets, including this mommy and me robe set! She also has maternity gowns, delivery gown and swaddle sets and more. Our Love Story Co Shop is another Etsy shop to check out. Her delivery robes and gowns tend to be made from satin material. There’s an option to have them monogramed as well, which makes for a perfect baby shower gift! Milk and Baby is one of my favorite shops for delivery robes and gowns, but also nursing-friendly clothes that are actually stylish. 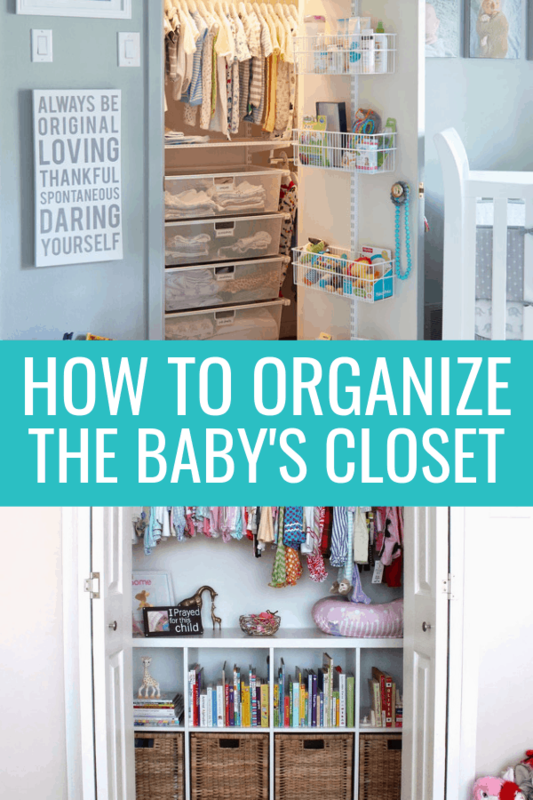 When I was preparing spaces for both of my little ones, I remember searching for baby closet organization ideas. I literally attempted to try them all. Many things did not stick, but a few things became essential to maintain for my own sanity. My oldest is 3.5 years old and I still apply these baby closet organization ideas to her “big girl” closet, because it’s a seamless system that helps us stay organized — or should I say, as much as possible!